She’s getting to be a big girl. She’s getting to be a big girl. – 365, 216, originally uploaded by Fluttering By. Two things that occurred today bring me to the inevitable; Molly is no longer a toddler. 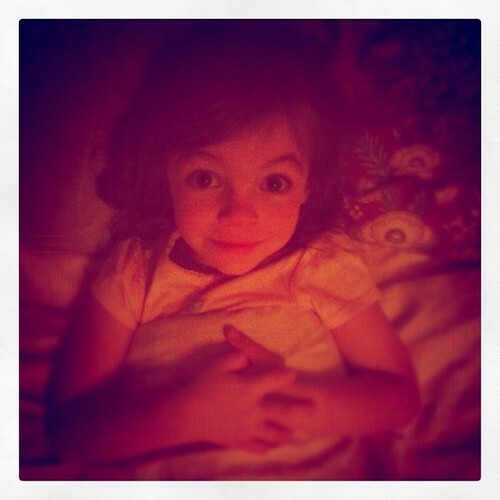 One: This is her, just now at 10pm. Happy, smiley and wait for it… No nap. Two: Earlier today we stumbled upon our passports. While Thom and I look pretty much the same, Molly? Wow. Even she said "Mommy, look at me, I was a baby!" Sniff. Yes, Molly. My ovaries are aching just thinking about it.